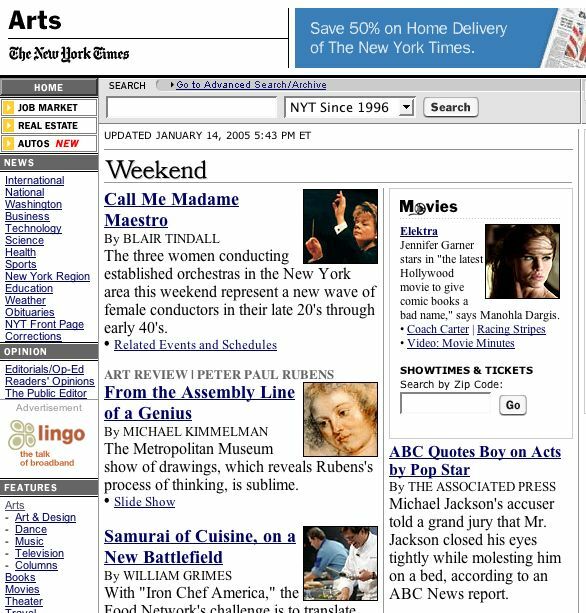 Must the New York Times arts page have a story on Michael Jackson molesting boys? Can't they find an "Entertainment" section for that sort of thing? Published on January 14, 2005 5:59 PM.